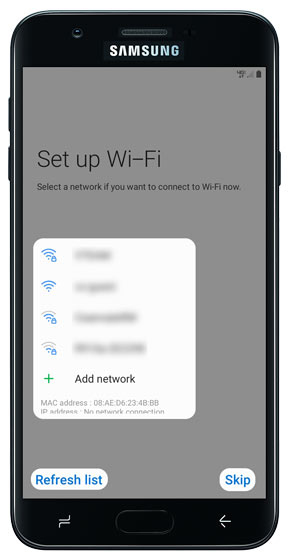 If powered off, press and hold the Power button (located on the right side of the phone) until the 'Samsung Galaxy J3 V' screen appears then release. 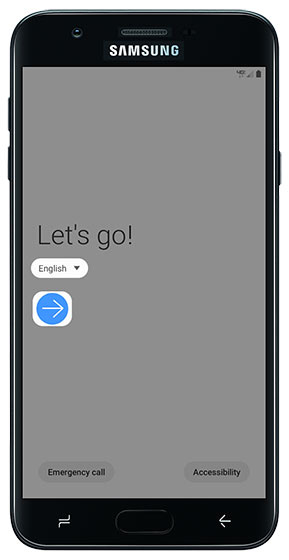 Select the appropriate language then tap the Start icon. 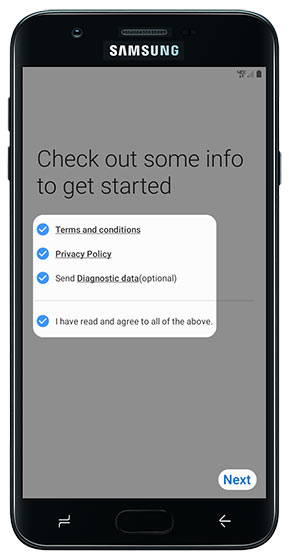 To continue, review the 'Terms and Conditions' screen then tap Next. 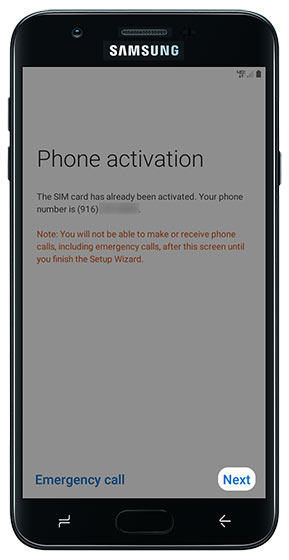 If presented with the 'Phone Activation' screen, tap NEXT. 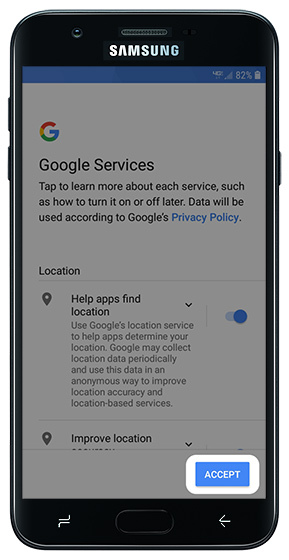 If you choose 'SKIP', you can add your Google account after setup is complete. 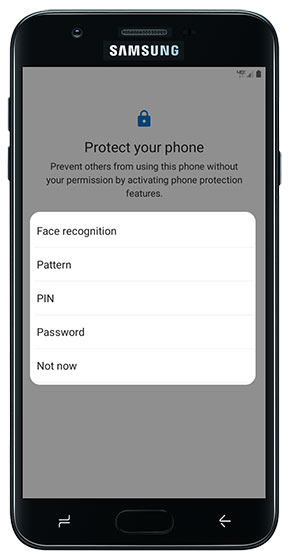 From the 'Protect your phone' screen, tap an option. 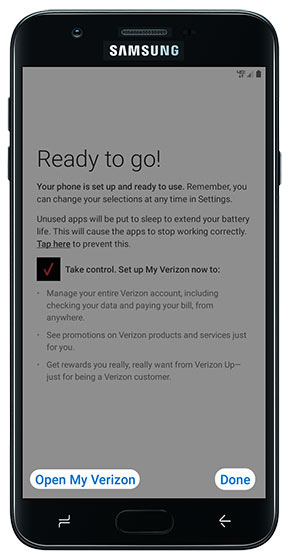 If you choose 'Not now', you can add a screen lock after setup is complete. From the 'Verizon Cloud' screen, tap NEXT. 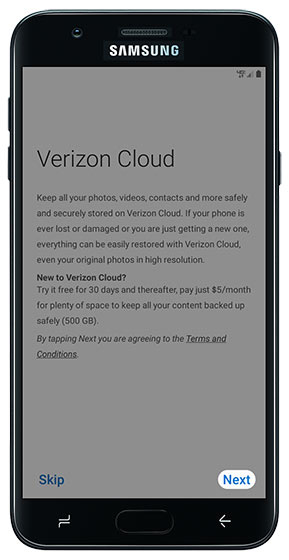 If you choose 'SKIP', you can set up Verizon Cloud after setup is complete. 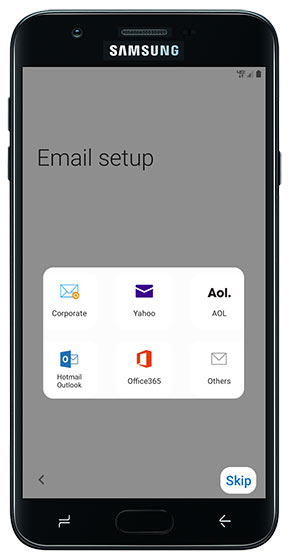 If you choose 'SKIP', you can add an email account after setup is complete. 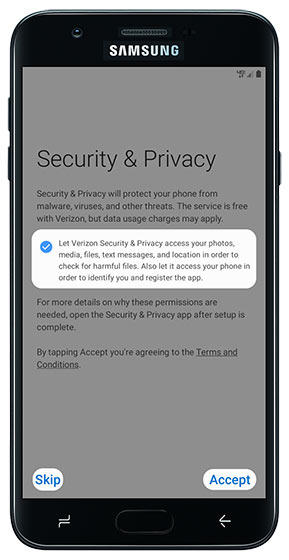 From the 'Security & Privacy' screen, tap ACCEPT. 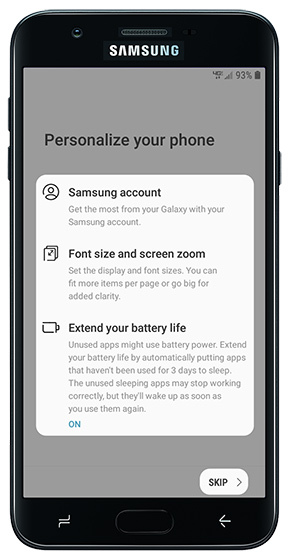 From the 'Personalize your phone' screen you can sign in to your Samsung account, create a Samsung account, adjust font size and screen zoom or extend your battery life. If desired, tap SKIP to reach the end of the Setup Wizard. 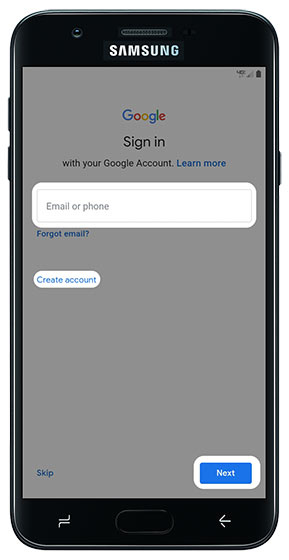 From the 'Setup Wizard is complete' screen, tap DONE (lower-right).